Jeep, an American automobile brand, is introducing an all-new SUV in India called Jeep Compass. The Jeep is known for tough and rigid SUVs the world over since 1941. Fiat Chrysler Automobiles now owns the Jeep brand. The original Jeep was designed only for Military purposes. Jeep is one of the oldest brands in the world manufacturing four by four vehicles; now called as SUVs. The jeep compass features most prominent feature called Active Drive with Selec-Terrain. This feature delivers traction when needed. It also helps to deliver fuel economy in almost every terrain. 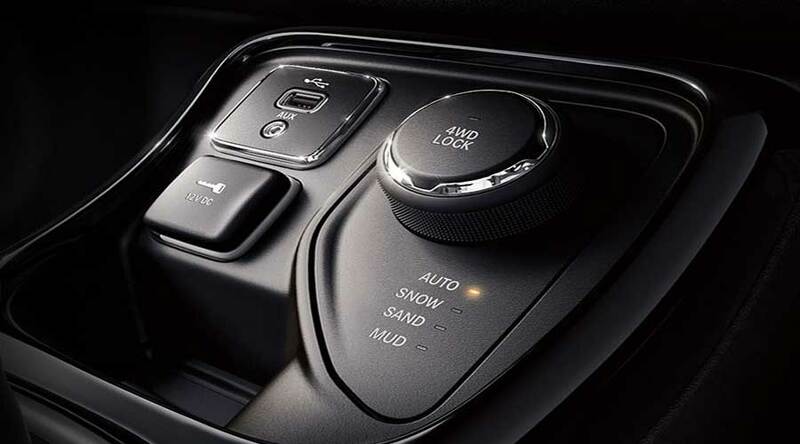 This system includes a dial which you can use to select four modes - Auto, Snow, Sand, and Mud. Each mode is configured to provide optimum four by four experiences in respective terrains. Electronic parking brake (EPB) is provided as an additional safety feature. It is an intelligent system. The 'Automatic Drive Away Release' system automatically decides when to engage and disengage. The system also detects open doors or unbuckled seat belts. In addition, it also detects when the driver exits the vehicle without engaging parking brake. In conclusion, it provides added safety and eliminates human errors. 7-speed DDCT transmission provides effortless gear shifts. The Dual Dry Clutch Transmission ensures smooth gear shifts without compromising fuel economy. Hill Start Assist helps during steep inclines. It automatically engages and stops the vehicle from rolling back on the slopes. So it gives few seconds for the driver to accelerate again. This feature is also helpful during heavy stop-and-go traffic condition on an incline. Jeep is providing two engine options - a 2.0 Multijet 2 Diesel engine producing 173 ps of power with 350 Nm of torque and a 1.4 Multiair petrol engine producing 162 ps of power with 250 Nm of torque. The premium and functional design give unmatched comfort in all types of terrains. There are three interior options provided. Starting from leather to plastics, everything is of premium quality giving you dynamic and luxurious driving experience. Furthermore, the U connect infotainment system keep you in sync with your favorite music. The 7-inch touchscreen provides easy navigation. It also provides support to android auto and apple car play. 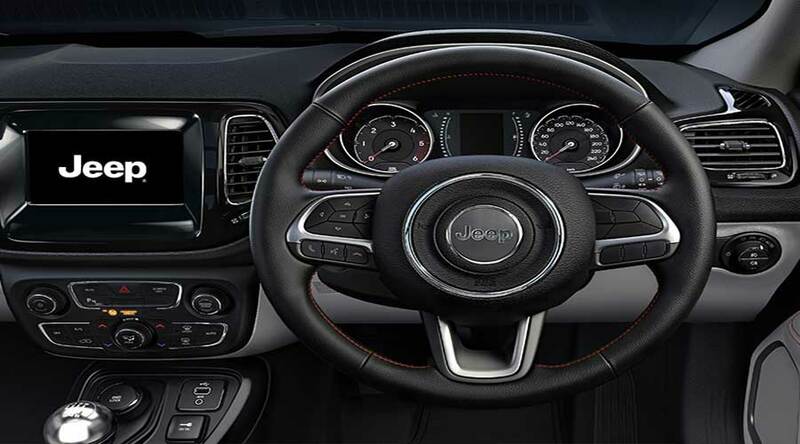 The more commanding feature is the leather-wrapped steering wheel. The ergonomic design with good placement of phone and audio controls avoids distraction to the driver. So you are always in control. With more than 50 safety features in Jeep Compass, it surpasses all others when it comes to safety. Four-channel ABS, panic brake assist, electronic roll mitigation, Electronic stability control, full-function traction control, and Hydraulic Boost Failure Compensation are some of the prominent safety features. With all these features there is no doubt Jeep will shake up the Indian SUV market. Volkswagen ID concept car: Fast forward into the future…! Tesla semi truck is here and it is just amazing!